That seems to be the question on the minds of job hunters everywhere. You might have made it into an interview, only to realize that your competition is every bit as qualified, and that employers are being selective. The interview questions you ASK are just as just as important as the ones you ANSWER. 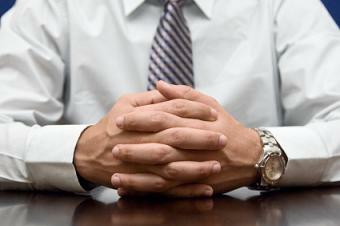 Employers are attuned to candidates that are attentive to THEM. In other words, the What’s-In-It-For-Me approach is alive and well in interviewing, and companies are eager to hear your ideas on what can help them. My recent collaboration with colleague Tony Deblauwe of HR4Change, The Right Questions to Ask in a Job Interview, published here on Monster.com, shows that employers are not only gauging your fitness on your ability to field their questions, but also on your ability to throw some good ones back their way. 1 – The ability to think on your feet. 2 – A keen interest in what is happening in the company outside your potential department. 3 – An awareness of the strategic importance of the role to the employer. These attributes are often equally important to your hard skills, technical knowledge, certifications, and credentials. Arming yourself with ideas for interviewer questions is one of the most effective strategies for landing the job of your dreams.